From the International Self-Publishing Programme at Frankfurt Book Fair, Kinga Jentetics CEO & Co-founder of PublishDrive, and one of Forbes “30 under 30” in 2017, explains the challenges and joys of international book distribution for authors. Kinga Jentetics is the CEO and co-founder of PublishDrive, the most intelligent ebook publishing platform powered by business intelligence. 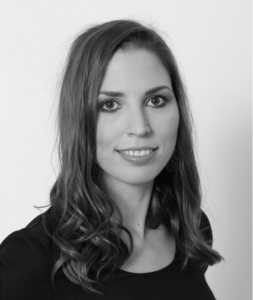 Kinga gained international experience in working at Zurich Financial Services in Switzerland, but she saw an opportunity in the publishing industry with her co-founders after publishing her master thesis in eBook version. Kinga applied her experiences about digital transition in the music industry to book publishing to let content reach its global audience in an intelligent way. PublishDrive’s goal to increase ebook sales globally with a simple to use interface powered by business intelligence to let publishers focus on their most important job: creating beautiful content. Kinga besides her passion to publishing is engaged in women entrepreneurship by encouraging young girls and women to make a difference. Kinga was selected to Next Generation Women leaders by McKinsey, 100 Female Founders by The Hundert mentioned on forbes.com and she was recently nominated for Forbes 30 under 30 Europe list.